Venues — Electric Love Productions LLC. Electric Love is pleased to offer unprecedented access to a host of South Florida's leading venues. With discounted rates, preferred customer treatment, and same day quotes we guarantee your venue satisfaction. Below are a few of our favorite go-to locations, perfect for events ranging in size from fifty to twenty five hundred. Please take a moment to browse, and feel free to write us with your questions or specific project needs. 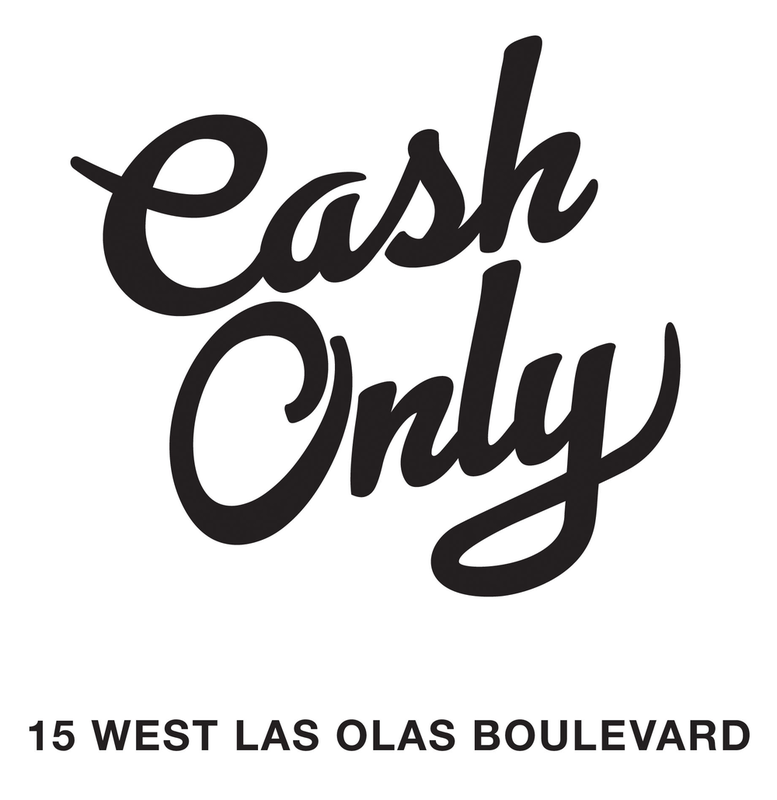 Cash Only: In Fort Lauderdale, where nightlife currency is king, CASH ONLY takes the concept of typical nightlife and turns it upside down. The unique integration of eclectic live event space and dance club mixed with the DNA of your favorite neighborhood bar along with the appeal of an intimate locals hangout has quickly earned Cash Only the mantel of number 1 Fort Lauderdale venue. The newly designed open floor plan includes three bars on two levels each with a distinct appeal and design concept. The first floor features a semi-private seating area, over sized center bar, and a stage for live entertainment. The second floor is a hybrid LA motor lodge and No Tell Motel lobby bar, perfectly mixing an air nostalgia with the excitement of discovery. The new South Florida hot spot is re-envisioned vintage made new, seamlessly integrating a mash up of decades of great music DJ’s and Live Entertainment. Fusing the best of the past with a glimpse of the future of your local bar scene. CASH ONLY takes you on a fun filled, beverage fueled, customer oriented, musical and entertainment centered magic carpet ride through “Vintage 2017” – an all-new opportunity to hang, mingle, drink, and party. The Bar at 1306: Miami's classic neighborhood bar, The Bar at 1306 (thirteen o' six) features intimate indoor and outdoor seating fashioned for the enjoyment of classically prepared cocktails from the old and new world. Open 7 days per week from 5pm-5am for happy hour, evening libations and late nightcaps. Our catered aperitivo menu is offered throughout the night and served complimentary during happy hour from 5pm-8pm. 1306: The versatile event space at 1306 (thirteen o' six) provides a refined backdrop to accommodate events of all varieties in a location convenient to Downtown Miami, Wynwood and the Beaches. From corporate events to private parties, concerts, product launches and brand activation, award ceremonies, dinners, meetings, talks and forums as well as film and production shoots, the space at 1306 is the canvas where you bring your creative visions to life. The Hangar is Downtown Miami's top open format event space. This midsize live-performance venue includes state of the art lighting and sound, as well as customization options to suit every event need. The open structure and layout includes adjustable staging designed to accommodate everything from orchestral performances to live bands and DJs, plenty of dance floor, and a full range of seating options.